Well, contrary to what you think, this picture was actually shot from God knows where. 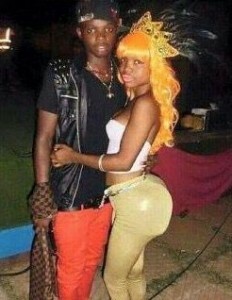 The lady looks very much like our Dear Nicki in a location in Africa and the Guy? Well I will leave you to be the judge. For those that do not know, Ibadan is a City in Oyo state of Nigeria and they are popular for doing things in there own way and being proud of it... Oops! that's just a social media description though.